Publisher and Publication Date: Alfred A. Knopf. May 8, 2018. An excellent review from Jenny Shank, The Dallas Morning News. Nathaniel, age 14, and his sister, Rachel, age 16, are left in the guardianship of a man known as The Moth. Their parents are going overseas. They will be gone for at least a year. The two young people will continue living in their home, but will have a new type of family. They live in London, England. Their parents both worked during the war doing something for the government. The time period of the story is 1945 through the late 1950s. The Moth has other people visit the home, they are known to him, but a mystery to Nathaniel and Rachel. Nathaniel and Rachel believe these people are possibly criminals. 1.The opening line was a clincher for me. In 1945 our parents went away and left us in the care of two men who may have been criminals. Page 5. 2. The first part of the story moves along at a slow thoughtful pace. 3. The narrator, Nathaniel, is telling the story of his life when he was a young adult. He blends both his thoughts then, and a bit of his current mature thinking. Not enough to reveal anything, at least not in part one. 4. The story has a sad cloud hovering over it, and the cloud doesn’t leave. 5. Warlight is a thinking book. It is a particular type of story where the reader must understand this is not going to be a cheerful book. And, the author is trying to tell us something important. The characters have too much to hide about their lives. And many of those hidden things will never be revealed, no matter how many rocks are explored and turned over. 6. Warlight shows things are not always what they seem in regards to people. People we think are scary are in fact not. And people who are supposed to love and care for us are incapable of doing so. Nevertheless, what people do with what has happened to them is the bigger story. 1. I read Warlight in two days! The first part moved at such a slow pace, and at times I wondered when is “it” going to pick up and show me something? I hung on, and I am so glad I did. The second half of the book is a treasure. The lost sequence in a life, they say, is the thing we always search out. Page 129. If you grow up with uncertainty you deal with people only on a daily basis, to be even safer on a hourly basis. You do not concern yourself with what you must or should remember about them. You are on your own. So it took me a long time to rely on the past, and reconstruct how to interpret it. Page 169. We never know more than the surface of any relationship after a certain stage, just as those layers of chalk, built from the efforts of infinitesimal creatures, work in almost limitless time. Page 256. If a wound is great you cannot turn it into something that is spoken, it can barely be written. Page 275. This is my favorite line in the book! We order our lives with barely held stories. Page 284. I read The English Patient a few years ago. Warlight reminds me a little of The English Patient in that both books are showing people and life are not what they seem to be. There are hidden things people keep locked in their hearts. But, this does not mean they don’t love. Both books are tragic in a way. However, life is tragic, it has happy moments, but many sad moments. Nevertheless, it is all in how we react to those tragic places. Warlight is a memorable book for me. I will not forget this story. I believe Michael Ondaatje has written a masterpiece. Thank you! Publisher and Publication Date: Zondervan. March 6, 2018. Jack Deere, formerly an associate professor of Old Testament at Dallas Theological Seminary, is a writer and lecturer who speaks throughout the world on the gifts of the Holy Spirit. He is the author of the bestselling book Surprised by the Power of the Spirit. Follow Jack on Facebook at www.facebook.com/authorJackDeere. When I bought this book and began reading I had no idea the author grew up just in the adjoining neighborhood to the one I live in. The streets and places mentioned in the book I know very well. I know several people who grew up in this neighborhood. The name of the place is Handley, TX. Handley used to be its own town. It became annexed to Fort Worth in the 1940s. It was established by a Confederate soldier in 1884. The town sits right near the railroad. A small cemetery holding several confederate soldier graves rests nearby. The houses were built in the 1930s-1950s. It is a neighborhood where most of the people care for their homes and yards. It is a medium to low income neighborhood. The cemetery where Lee Harvey Oswald is buried is on the east side of Handley. A school where I am a volunteer tutor for reading is in this neighborhood. Handley is looked down on and ignored because it is not sophisticated. This is a shame. Even in Our Darkness is the biography of Jack Deere. He shares his life story both the good and the bad. The bad meaning the stressful and painful memories. Alcoholism and the brokenness in the family traveled through the generations. The apex is when this reached his marriage and a son. Jack Deere became a pastor; and pastors are supposed to have it all together, be a Christian model of success, and project only good Christian morality. I know this to be untrue, but many people count on their pastor to live up to certain standards. Childhood scars left unhealed don’t go away, and Deere was living a façade. It reminds me of driving around in a neighborhood looking at houses and remarking on how clean or pretty they look. All I’m seeing is the exterior. I have no idea what is going on inside the house. This is a strong lesson for all of us. We do not know what is really going on in a house, only the people who live there really know its contents. Even in Our Darkness is a Christian nonfiction book. This book is not a sweet package. It is a raw view of the reality of alcoholism, abuse, and suicide. I’m no stranger to these things. I’ve seen first hand its impact. I’ve felt the sting and scarring of it. I’m thankful for writers like Jack Deere who step up to the plate in transparency and talk about the hard stuff. In talking about the hard stuff, the reader can began to compile and work through their own painful memories or even current life situation. The reader no longer feels alone. Jack Deere through most of the book is not a person I’d want to know. He was presumptuous and superficial. I noticed in the book he stopped talking about his wife, she is shoved to the back of his thoughts (during that period of his life.) Later, there is a point when he mentions her, his feelings and thoughts. This is a bitter sweet moment. I struggled to read the painful memories of the son who was just lost. Lost in a dark world of addictions and mental health issues. Deere remarks on people who brand Christians who are not where the brander thinks they should be, and the judgment pushes away those who need to be loved on the most. This is an important book to read. It is not an easy read, because of the content. What I really needed all along, more than anything was to see myself through his eyes. Page 278. When the devil wants to send a message, he can always find a religious person to deliver it with perfect timing. But it didn’t work. I had become a Christian thirty-five years earlier, and at my moment of belief, the idea of Saint Peter’s scales was forever banished-at least as far as salvation was concerned. Perhaps the only thing of which I was still certain was that no one gains eternal life through good works. It is through faith in Jesus alone. And once he is in our heart, he never leaves. We can’t possibly be aware of all our sins, let alone confess them all. Page 228. Publisher and Publication Date: Harper Perennial. May 2008. From Goodreads, a bio on Amy Shlaes. On page 7, Shlaes explains what caused the Great Depression: the stock market crash, problems in the Federal Reserve, deflation, international trade, the Dust Bowl, severe floods, and insecurity about the stock market. For my grandparents, they knew or understood little of what was going on in politics and the marketplace. They only understood they needed to work to feed their families. The Great Depression is one of my favorite periods in history to read. My parents grew up during the Depression years. They are considered the Greatest Generation. Dad shared many stories of his childhood. Often, he was the wage earner for the family. My grandfather who was a cement finisher did not have much work. Dad built a little wagon and walked the streets of his home town in search of scrap iron to sell. He delivered the newspaper. He carried suitcases for the people disembarking from the train. There was a sugar bowl in the kitchen of my dad’s home. He placed his hard earned money in the bowl. That money was only for him and his mother to use. Dad said they always had a house to live in, and they always had a garden to eat from. Things like coats and shoes were scarce. Amity Shlaes is a respected economic commentator. She is branded as a conservative. I know little about her background except what is shown on the back cover and the Goodreads bio. I didn’t see the book as a hateful piece against Roosevelt and his policies. But I didn’t read the book with the mindset he was a perfect president. And the author mentions this same belief. Personally, I believe he was the right president for that era. He made good decisions and bad decisions, just as we all do. His speeches encouraged and comforted an anxious nation. My grandparents and parents loved him. He was their hero. At the beginning of each chapter a few things are noted: the date, average unemployment percentage and the Dow Jones number. I loved this, it set the chapter. The unemployment is a significant factor for Shlaes. She feels “to little has been paid” to this information. In the book, this is one of her strong themes: unemployment, what was done to help this, and it did not become strong till the war. The Forgotten Man looks at the failures of the New Deal, but it also looks at the positives. A historical story I did not expect in the book is the severe floods during this era. The Mississippi flood of 1927. Yes, this is pre-stock market crash event, but was an important part carrying over in to the Depression years. The next chapters preceded the birth pangs of the overcorrection of the stock market and the crash. By chapter six we learn about the Tennessee Valley, which was one of the poorest areas in America. The TVA or Tennessee Valley Authority was the New Deal’s biggest project. People like Father Divine, Paul Mellon, Dorothea Lange, and Wendell Willkie are shown by the work they took part in or created during the Depression years. Before reading this book I’d only known of Dorothea Lange, so this was beneficial to me to read about the other historical figures. What I did not like about the book is it’s big on facts and figures. For a person who is not strong on nonfiction, this book might be a turn-off. I love nonfiction history books, but I still struggled at times, becoming bogged down with the minutia of information. The book does not share stories from the common people of this time period. I had hoped to read about the people who were really living and surviving during the Great Depression. Being poor was no longer a passing even-it was beginning to seem like a way of life. Page 352. Publisher and Publication Date: Holman Bible Publishers/B&H Publishing. April 15, 2018. Source: B&H/Lifeway Publishers. I received a complimentary hardcover copy from B&H Publishers. I was not required to write a positive review. For further information about Bible from the publisher: B&H Publishing. For a sample chapter: The Study Bible for Women CSB. For a full bio of the General Editor of this Bible: Dorothy Kelley Patterson. For a full bio of the Managing Editor of this Bible: Rhonda Harrington Kelley. This is the third Christian Standard Bible I’ve reviewed. My go to Bible, and the first Bible from this series I reviewed is the, She Reads Truth, Christian Standard Bible. 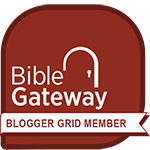 The second Bible I reviewed is the, Study Bible, Christian Standard Bible. Both of these Bibles I purchased. A new Bible from this translation series is The Rainbow Study Bible. This Bible was published May 1: Amazon. This is the website for the Christian Standard Bible. I’ll start with the less of significant reasons as to why I love this Bible. 1. Aqua is one of my favorite colors. I was not pleased with the color selection of the She Reads Truth, CSB. The choices are white, gray and poppy red. Later, a navy colored leather touch was added. Aqua is easy on the eyes, simple, casual, and a tranquil color. 2. The first several pages are the presentation page, “The Ketubah”, family memories and tree, and spiritual Mother’s page. The significant reasons why I love this Bible. 1. I love the translation. I believe most people do not read the information about the textual base used for the translation. They see the cover, like the way it reads and they buy the Bible. Possibly certain features of the Bible are a draw like the concordance. I love the readable CSB translation. 2. I love the footnotes at the bottom of the pages. These show the differences in the manuscripts and other OT versions. 6. I love the bold easy to read print. I wear bifocals, but the bold print in books help! This not a journaling Bible. They have a matte finish so they are easy to turn. Only half an inch is on the margins. Publisher and Publication Date: PS Books, Regional Publishing National Voice, A division of Philadelphia Stories. October 20, 2017. Source: I received a complimentary paperback copy from Valerie Fox. I was not required to write a positive review. This book is not available in ebook, only paperback for $10. Valerie Fox’s work has appeared in many journals, including Thrush, Painted Bride Quarterly, Hanging Loose, Apiary, West Branch, Sentence, and Qarrtsiluni. Originally from central Pennsylvania, she has traveled and lived throughout the world, and has taught writing and literature at numerous universities including Sophia University (in Tokyo) and currently at Drexel University (in Philadelphia). Goodreads, the author page for Valerie Fox. Poems For The Writing, a blog. Thrush, a poetry journal published 6 times a year. Insomniatic is the newest poetry chapter book from Valerie Fox, author of The Roschach Factory and The Glass Book. These poems haunt and question, dream and wander, asking the reader to question what is a dream state and what does it mean to be awake. Twenty-four poems are included in the Insomniatic book. My favorite poems are Insomnia; And for that matter, what does it mean to be human? and I’ll come see you. The first poem and chapter of the book is Insomnia. The first stanza jumped out at me. I agree, we do seem to be, “afraid to call upon one another unless the meeting has been pre-arranged.” I think back to the days when we just picked up the land-line telephone and called a person. I remember when there wasn’t answering machines. I remember when there wasn’t caller ID and other specs for phones. I remember a time when the telephone rang I really did want to talk. Now, we text first and then see if it’s okay to call the person. But, I believe this poem goes deeper than calling a person. It resonates with being “afraid” to reach out to another person when we’re in trouble, or lonely, or feeling the need to have companionship. We have to test the waters first so to speak. The second poem I like is And for that matter, what does it mean to be human? I’ve read this poem several times. Each time I read the poem I pick up something new. I just love this, when a poem teaches me something! In this poem, several words repeat: song, sing, good ear and ears. I take it the narrator wants to be heard? That he feels unheard and wants to share something deep in his heart. He wants to share a story. I’ll come see you. This poem is direct, in your face and cutting. The narrator is angry and bitter. But, there is also deep disappointment and sadness. I enjoyed reading Insomniatic! I plan to re-read the book!